School closed Monday 29th April for children. Staff will be in for Security meeting. It is my great pleasure to welcome you to the Galle International College website. 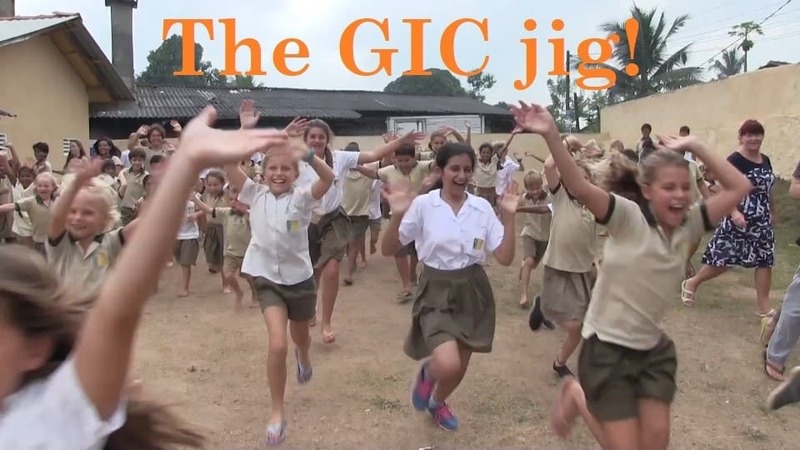 GIC is an International school based in Galle, Southern Province of Sri Lanka. We have an excellent reputation for providing an education based on the English National Curriculum for 2 to 18 year olds as well as providing Cambridge International Examinations as an Associate School. We aim to give every student in our care the very best possible education in order to prepare them for life beyond school. 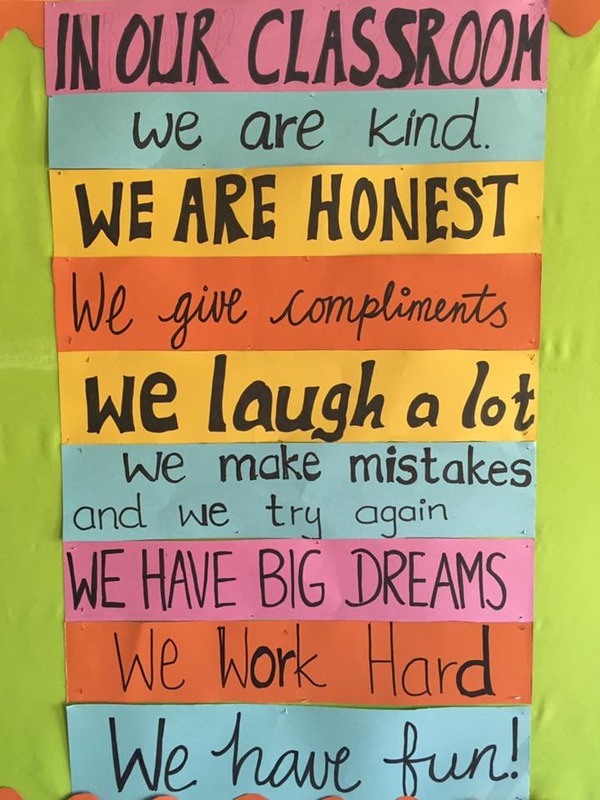 We are a 'Learning Community' which encourages staff, students and parents to involve themselves fully in all aspects of school life and to identify themselves with its core values of Respect, Responsibility and Integrity. In this fast changing and challenging world, we need to ensure our students have the skills and resources to deal with the demands of the future and as such we encourage our students to aim high in their studies, to work hard and to be sensitive to the rights and needs of others. Our team of teachers provide good quality teaching and learning opportunities to ensure all students find their hidden talents and skills. Of course, this website cannot take the place of visiting our School; I warmly welcome you to visit our School and discover firsthand what makes GIC such a special and individual learning environment. At Galle International College we are committed to developing a community of lifelong learners with the skills to acquire knowledge and meet the challenges of an ever changing world. The key to the success of any organisation is mutual support, respect and tolerance of differences. To build an environment of trust, it is essential that all members of the school community openly communicate with each other and try to work together in a courteous manner to resolve their differences. Ad Vitam Paramus – We are preparing for life. 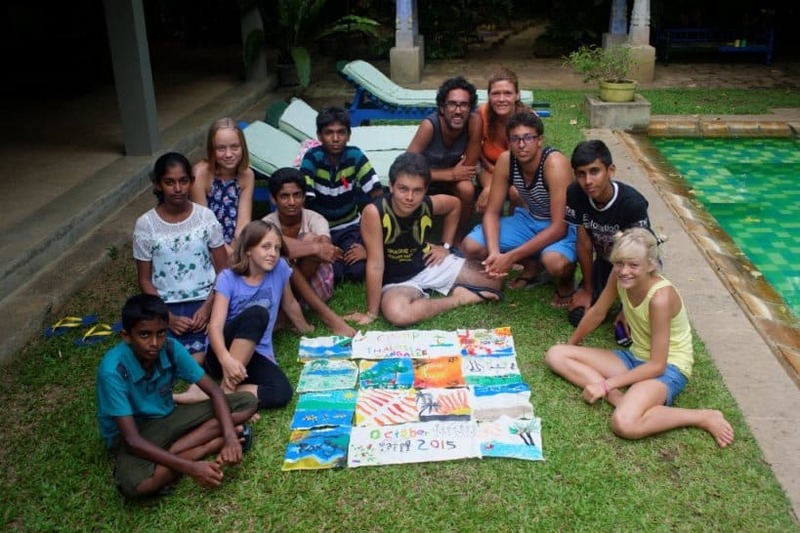 Galle International College is dedicated to developing globally aware citizens by creating a wealth of experience through indoor and outdoor teaching. We envision an engaged and socially responsible community of active learners attaining the highest standards of education, personal development and confidence. This vision will prepare students to confidently resolve future challenges in their adult life. It is with great pleasure, after long, arduous dedicated work, we announce that the Galle International College (G.I.C.) has been honored with full CAMBRIDGE ACCREDITATION for its superior educational environment! 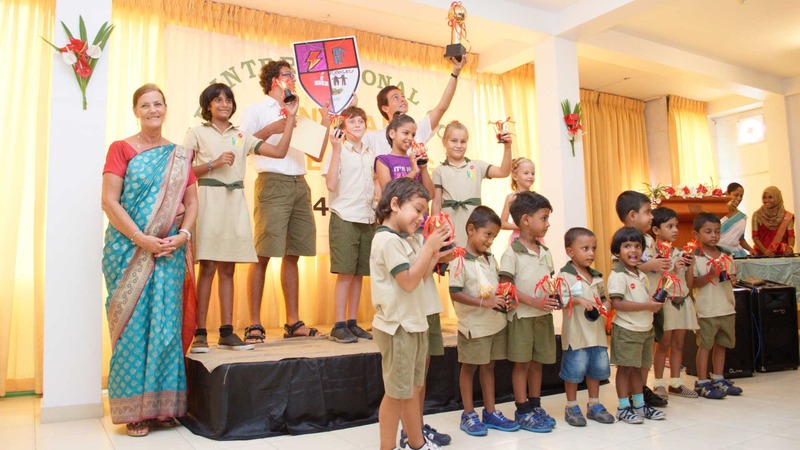 The Galle International College (GIC) is now the first Cambridge International School in the Southern Province in Sri Lanka. The students enrolled at the Galle International College (G.I.C.) will now be assessed at the same levels as their peers in schools in England and throughout Europe. Parents and students shall be confident of a top-notch education in Galle! Click here to read the official letter. Provide an environment where children feel safe, secure and happy to enable them to develop the self confidence to try new experiences without fear of failure. Realise the full potential of each child ensuring equal opportunity regardless of race, creed, ability or gender. Encourage children to become independent, co-operative, confident, and reflective learners promoting positive attitudes to 'life long' learning. Promote values and respect within the school and beyond to enable students to become respectful, tolerant and fully integrated members of society. Acknowledge each child is unique and has different needs. Recognise and develop the full potential of each child. Engage in effective partnerships between home, school and the wider community so that success and achievement can be shared. Students are admitted to GIC throughout the year. In the first instance, an application form together with a letter of interest should be sent to the school via email (info2012gic@gmail.com). Please include your child's date of birth. The application form is available on this website. We will then contact you with availability and arrange for a visit to the school. For each prospective student, an admissions form must be completed by his or her parents (please click below to download this form). * A current photograph of the student. * A copy of the student’s most recent school report. * The student’s passport or birth certificate. The Principal will meet all prospective parents and students to discuss their interests and answer any questions they may have about the school. If you require further information or would like to arrange a visit to Galle International College, please do not hesitate to email or call us. We very much look forward to meeting you. The admission form can be downloaded in PDF or Word format. We will inform you as soon as possible of any alterations via the NEWS section on the main menu. The Parent Board warmly welcomes you to Galle International College. • The Parent Board was formed to assist the Principal and Directorate with guidance and advice to ensure that the school grows from strength to strength. Our role involves meetings each term with the Principal and the Directors, promotion of the school and communication. • If you are considering the school as an option for your child, or if your child is already a student of this school, do let us know if there is anything we can assist you with. We are here to help you. • Communication is very important. Our contact details are below and on the school notice board. Please feel free to contact anyone of us. Here at GIC our Parent / Teachers committee (PTA) was formed to support the school and it's activities. • To develop links with parents so that skills and ideas can be shared with the school to enhance the development of the school. For example, a doctor may offer a first aid course for the staff, a dancer could come and share their skills with the children or a parent may offer to come and assist the teacher with individual reading practise. These are just a few ideas. • To organise events for fundraising. These may include a raffle draw, a cake stall, table top sales, celebrating events such as Christmas, a Summer fair or Halloween. • To support teachers with school events. For example, helping with costume making/dressing for an event, class assemblies and outside visits. We like to have a representative for each class. The PTA meets termly to discuss events and make preparations. If you would like to join us on the PTA we would be delighted, please contact the school office. • Our English classes are designed and taught by native English speakers who are trained to teach English as a second language to students. The lessons are developed to meet the curriculum content for the Cambridge English Examination Board. • The first set of examinations are 'Starters' and the students will then progress forward to 'Movers' and Flyers'. Following this the children can move onto the English Preliminary (KET) Certificates and the English First Certificate (FCE). • These certificates are recognised internationally by hundreds of institutions across the world which consequently can open up a world of opportunities for your child. • The classes focus on 'speaking' grammatically correct sentences, reading and writing in English, as well as providing many opportunities for games and activities to stimulate conversation and develop an understanding of the English language. There will be occasional homework but we aim to keep this to a minimum. Whilst many students wish to take the exams, it is not compulsory. 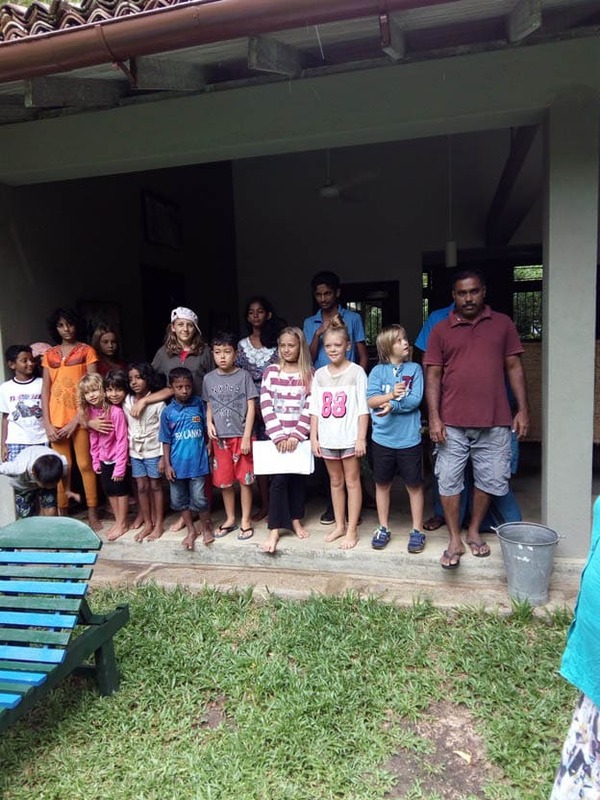 • The examinations are taken at the school and the children are tested by independent examiners trained by the Cambridge Examination Board from Colombo. If you have any questions or would like more information, please enquire in the school office. day experiences. Children will thrive within classrooms that meet their developmental needs, and that provide a secure, respectful and nurturing environment. The curriculum should be flexible enough to respond to individual differences and allow children to feel comfortable in applying their own ways of thinking and learning. reading together, playing games with numbers and letters and having fun, they learn to understand the world and to develop emotionally and socially. The British Early Years Foundation Stage Curriculum ensures that children learn through play and is the basic structure that our staff follow. Miss. Wasana, Miss. Shashikala, Miss. Hansika, Miss. Nifra, Miss. Minimuthu and Miss. Fasla would like to wish you a Happy New Year for 2019. We would also like to thank you for your enormous support at the Christmas play. We thought the children performed well. We would also like to take this opportunity to wish you all a very Happy New Year. We warmly welcome all students to the nursery classes. This term our topic will be, ‘Under the sea’. Many activities have been planned for the children based on this topic. The children will identify friendly and dangerous sea creatures living under the sea. Also we will talk about protecting the sea and the underwater world (talk about fishing, litter, and pollution). We will discuss why this should stop & what children can do to help protect the ocean. We will also continue to develop knowledge and skills of letters through Jolly Phonics, numbers, colours, shapes, an understanding of simple mathematical problem solving, formation of simple words and exploring books. * Send extra clothing, a water bottle and a healthy snack each day. * send your child in school uniform almost everyday. * Inform the office of any changes of address and phone numbers. * Please arrive before 8am each day. * Inform us of any changes in your child's daily transportation to ensure his/her safety. * Collect cardboard boxes, egg cartons, empty tape rolls and tissue rolls, yoghurt cups and anything else that looks interesting for craft work. As always, please do not hesitate to contact the Early Years school teachers for any further information. Ms. Dineshika, Ms. Niwanka, and Ms. Sachini would like to wish you a Happy New Year for 2019. We would also like to thank you for your enormous support at the Christmas play. We thought the children performed well. We would also like to take this opportunity to wish you all a very Happy New Year. We warmly welcome all students to KG 1-d class. This term our topic will be, ‘Under the sea’. Many activities have been planned for the children based on this topic. The children will identify friendly and dangerous sea creatures living under the sea. Also we will talk about protecting the sea and the underwater world (talk about fishing, litter, and pollution). We will discuss why this should stop & what children can do to help protect the ocean. As always, please do not hesitate to contact us for any further information. Ms. Ruwaida, Miss. Arfa and Miss. Shahama warmly welcome all the students back to our New Term. We hope you all had a wonderful Christmas and a New Year and refreshed to be back in school. We welcome all the new students and their families and looking forward to have a great term. This term our topic will be, ‘Under The Sea’. Children will be learning more about the sea and what is happening in the sea as well as investigating different types of transport and sea creatures. We will have more outdoor activities to get the children involved in creative play and also exploring water and sand. We will be have lots of experiments in the class to have fun with the topic. We will also continue to develop knowledge and skills of letters through Jolly Phonics. The children will be using their skills to read and write simple words. We have interesting activities to encourage the children’s acting and speaking skills to enable then to retell stories and participate in drama tasks. We will continue to develop an understanding of numbers, data handling and patterns as well as developing some simple problem solving skills. By the end of the term the children will perform an Assembly on the topic “Under The Sea“. If you have any questions and queries, please don’t hesitate to ask us. Ms.Nadeesha, Ms.Sewwandi and Ms.Nirosha warmly welcome all the students back to Galle International College - KG 2(N) for another amazing term and would like to wish you all a very Happy New Year. We hope you had a great holiday period. This term we are so lucky to have a fun learning classroom with a creative indoor and outdoor environment that provides all the students the opportunity to gain many new skills. "Under the Sea" is our topic for this term. The children will be learning many interesting things about the sea life, sea creatures and sea transport. They will enjoy singing, craft work and many other activities related to the topic. The children will also learn letter skills through jolly phonics, formation of letters and simple words. We will also focus on writing their own name, blending sounds for reading, counting skills, number recognition as well as simple mathematical problem solving and many other life skills. A sound book will be sent home for further practice of the letter sounds. Towards the end of term, the children will perform an assembly based on the topic. Miss Hafsa,Miss Harshani and Miss Darshika would like to thank you for your support given to the school in various ways throughout the previous school term. We would like to wish you all a very Happy New Year and look forward to having your child in our class and getting to know you. This term our topic will be ‘Under the sea. ‘Many activities have been planned for the children based on this topic. We know the children will enjoy learning about the sea life as it is a treasure trove of new discoveries and learning. There’s something about the sea that makes it so mesmerizing. Maybe it’s the size or maybe it’s all of the different creatures that can be found in it. We will use this topic to make many wonderful crafts, develop new skills when painting and creating as well as developing general knowledge. We will also continue to teach phonic knowledge with Jolly Phonics and learn to read and write simple words. The children will also develop their mathematical knowledge and skills through games and real life problems solving. During the primary years, the children will follow the British National Curriculum schemes of work covering 10 subject areas. Literacy, Mathematics, Science, ICT, History, Geography, P.E, Music, Art, Design and Technology. The main core subjects are taught by the class teacher while other subjects are taught by specialist teachers who are part of our team. Children are encouraged to be independent and creative learners, taking responsibility for their own learning and development. They will have opportunities to work in small study groups developing the skills of teamwork. Teachers work closely with both the parents and the children to plan and provide a curriculum that serves children’s individual needs. Regular assessments are given using standardised tests to ascertain their level of achievement in Reading, Writing and Mathematics. Parents are encouraged to play an active part in their child’s education. The teachers are happy to discuss children's progress at any time (please make an appointment) and specific progress meetings are arranged twice a year. At GIC we have an 'Open Door' policy encouraging parents to be part of the school community. We welcome parents to offer their time to read with children, offer their skills such as sport, music and art as well as cooking and gardening. GIC has an independent parent/teacher association which supports the school by providing fundraising opportunities to enhance the school's development. I am pleased to welcome you back to a new term. I am excited to see what this term will bring and to see each child continue to progress in their learning. This term we will be exploring and studying “Celebrating Me (Magical Me)” as our topic. Children will be introduced to how to celebrate themselves and special things about them, special celebrations of different communities and countries and how to thank people in different ways. We will explore Historical celebrations of their parents and grandparents and learn new vocabulary and different ways of representing what we know. Mathematics will be taught daily where we will cover counting, writing and recognising numbers to 20, measuring Weight and capacity with nonstandard units, common 2D shapes and shape and number patterns, multiples of 2 and 10, doubles, find half, share equally, half a shape, line symmetry, recording data in a pictograms and introduction to finding tens and ones in a two digit number during the second term. We are following the British National Curriculum for English. Children will learn phonemes, graphemes and start building words and writing the words following the correct letter formations, Phonics will be taught daily which will guide the children towards word building techniques. With the capability of word building children will learn how to write a simple sentence with five stars writing with punctuations, finger spaces and using capitals and simples appropriately. We will be starting reading using the different reading techniques following an order like listening, group reading, paired reading, guided reading and one to one reading with the guidance of the teacher. * PE is on Tuesday and Friday mornings so please can you ensure your child comes into school wearing the appropriate kit and shoes (trainers, t-shirt and shorts) or brings it with them as well as their school uniform. * Swimming is on Wednesday mornings so please can you ensure your children brings the appropriate kit and a towel, including a swimming hat for this as well. We would like to remind you about the school homework policy. The children have a homework folder which we would like you to have a daily look as we send home work and all the news letters to the parents when necessary. We do expect the students to continue to read and practice their words daily at home and record this in their Reading Record Books. Contact Diary can be used for parent/teacher contact. Spellings tests given on every Friday and the dictation words will be sent home on Monday to practice at home. Additional subject based homework will be sent home on Monday – Thursday. Where possible the children should complete the homework independently as this gives us a better idea of the child's understanding of the task. If you need to offer a lot of support, please make a comment on the work. Notices: Please ensure your child has a water bottle, snack and lunch each day for school. As always, please do not hesitate to contact Ms.Thakshila if you have any questions. I look forward to an exciting term ahead and thank you in advance for your cooperation. If you have any questions and queries, please do not hesitate to ask. Happy New Year to you all and I trust you had a great holiday. Mr Luck and I will again be teaching Primary 2 and we would like to take this opportunity to welcome our new families and children to our class. If you have any questions, please don’t hesitate to come and chat to either of us. Our topic this term is Famous for more than 5 minutes. We will be investigating influential people who have shaped our world from artists to Queens and explorers. In mathematics, we will be learning about place value, addition and subtraction, measurements, fractions and multiplication and division. The children need to learn the 2x, 5x, 10, and 3x tables this term so do help them practice at home. Our quick maths tests will continue each week. We have some exciting texts to explore in Literacy and our focus will be on developing reading skills. If any parents are free to help with reading do please get in touch. For science the children will be experimenting with materials, identifying and finding everyday materials around the school as well as matching materials and learning about simple physical properties. In the second half of the term we will be looking at the sun, the planets and the moon. PE is on a Tuesday and Friday morning. The children will need shorts, tee shirt and trainers as well their school uniform. Swimming will be Wednesday morning. Children will need a swimming costume, swimming hat and a towel. Please note: No swimming this week! I would like to take this opportunity to remind you about the school homework policy. Each child has a homework diary which we would like you to sign weekly. All homework tasks will be recorded in the diary. We do expect the students to continue to read each day at home and use their Reading Record Books to record this. These books can also be used for parent/teacher contact. Each week your child will have a list of spellings to learn. This list will be given on Mondays and the spelling test will take place every Friday. We have tried to make it fun by offering different games for them to play and they can also earn house points! The children will have the responsibility of learning these spellings and preparing for the test. Additional subject based homework will be sent home Monday-Thursday. Notices: please ensure your child has a water bottle, snack and lunch organised each day for school. School lunches can be ordered and paid for in the office. I would like to wish everyone a Happy New year and welcome back to Primary 3. If you have any questions, please don’t hesitate to contact me, to arrange a meeting after school. This term we will be exploring and learning about Mountains, Rivers and Coasts through our topic, in order to become “Experts” in these areas. The topic will focus on the journey of a river, the major bodies of water on earth and the impact mountains and volcanoes have on earth. In mathematics, we will be learning about number place value, mental subtractions/addition, measurements, fractions and mental multiplication/division. Literacy will provide the children an introduction to different texts including fiction, non-fiction texts and poetry. The science topic will be Keeping healthy in the first half of the term and Rocks and fossils in the second half. Click here for a breakdown of what P3 will be learning each week. P.E. lessons will take place on Fridays morning. Full P.E. kit (trainers, t-shirts and shorts) is compulsory and must be brought to school on this day, along with the regular school uniform to change into after the lesson. Swimming is on Wednesday mornings, so please ensure your child brings appropriate kit for this as well, including a swimming hat for children with long hair. We would like to take this opportunity to remind you about the school homework policy. Each child has a homework diary which we would like you to sign weekly. All homework tasks should be recorded in the diary. We do expect the students to continue to read each day at home and use their Reading Record Books to record this. These books can also be used for parent/teacher contact. Each week your child will have a list of spellings to learn. This list will be given on Mondays and the spelling test will take place every Friday. The children will have the responsibility of learning these spellings and preparing for the test. Additional subject based homework will be sent home Monday-Thursday. Notices: please ensure your child has a water bottle, snack and lunch each day for school. School lunches can be ordered and paid for in the office. We look forward to an exciting year ahead and thank you in advance for your cooperation. Happy New Year and welcome to Term 2 of our academic year! I am delighted to welcome any new families joining our school and community. This term our new topic will be ‘Rivers and Mountains'. We will start off the topic by investigating Rivers. We will be looking at Rivers in the UK and Sri Lanka, focussing on why we need rivers, their importance and what we can do with them. After that, we will look at mountains, the different types, how they are formed and their impact on the environment. We will also try to cover any famous rivers and mountains in the various Country’s that our children come from! If you have any amazing pictures/photographs of your children in various river or mountain areas, please send them in so we can share experiences! Mathematics will be taught daily where we will recap and build upon prior knowledge. This term we will continue to build upon our number and place value knowledge, addition and subtraction and multiplication and division. We will explore the properties of shape and angels and continue to build upon our knowledge of time and measurement. Students will complete regular Mental Maths tests throughout the term along with other preparation for assessments. We are following the Cambridge Curriculum for English. Reading will be a strong focus within lessons, which we strongly encourage children to continue at home. Children should read for 15 minutes each day at home. This can be a book, a magazine or anything that interests them. This term the children will look at Myths and Legends, Performance Poetry and Persuasive Writing. As before, grammar, punctuation and spelling will be taught and revised continuously throughout the term. •	P.E. lessons will take place on Friday. Please ensure your child has full P.E. kit (trainers, t-shirts and shorts) along with the regular school uniform. •	Swimming is on Wednesday mornings so please ensure your child brings appropriate kit for this as well, including a swimming hat for children with long hair. Notices: please ensure your child has a water bottle, snack and lunch each day for school. Thank you in advance for your cooperation. If you have any questions and queries, please do not hesitate to ask. Thank you again for all your continued support. My name is Annie Aiken and I will be teaching Primary 5. I am from Australia and have been teaching in Sydney for 6 years. I love my job there, but have come to Sri Lanka and GIC for a change in lifestyle and to explore education outside of my home. This term is in full swing and all P5 students have been working hard across all of our studies. My classroom is a very flexible, supportive and collaborative learning space where students spend time working in groups, pairs and independently to develop their creative and critical thinking, skills and knowledge, and their own personality. Our topic this term is Fossils and Dinosaurs. Reading, writing, speaking and listening, spelling, and grammar will be integrated into this topic as we study different factual texts and create our own newspaper articles and new species of dinosaurs. The following topics will be covered in maths this term; Addition and subtraction linking money, mental and written multiplication and division, mental and written addition and subtraction, negative numbers, fractions, decimals, percentages, word problems, coordinates and line graphs, perimeter area and volume, data handling. Our science focuses are ‘The Life Cycle of Flowering Plants’ and ‘Investigating Plant Growth’. Please remind students to bring their drink bottles each day, swimming gear on Wednesdays and sports gear on Fridays. Homework will be handed out on Mondays and handed in on Fridays. There will be different activities to choose from across English, maths, science, art and topic. Students will do their spelling test on Friday after learning their words throughout the week. I am pleased to welcome you back to Term 2 of our new academic year. Allow me to extend a warm welcome to any new families joining our school and community. I am extremely excited to see what this term will bring and look forward to seeing each student continue to make progress and achieve their goals. This term our new topic will be “The Victorians”. We will learn about how the Victorian era was a huge landmark in British history and how it impacted on the rest of the world. We will explore things that were invented during Victorian times and famous faces that influenced history in a big way. Mathematics will be taught daily where we will recap and build upon prior knowledge. This term we will focus on fractions, decimals and percentages. We will move towards reading and handling data using different types of graphs. We will also explore ratio, probability and laws of arithmetic. Continuing to follow the Cambridge Curriculum for English, children will analyse biographies of people who influenced the Victorian era and develop their own. They will also recap on persuasive writing techniques and poetry. Click here for a breakdown of what P6 will be learning each week. •	P.E. lessons will take place every Friday. •	Full P.E. kit (trainers, t-shirts and shorts) is compulsory along with the regular school uniform to change into after the lesson. •	Swimming is on Wednesday mornings. •	Your child will need appropriate kit for this. Each child now has a homework diary which we would like you to sign weekly. Notices: please ensure your child has a water bottle, snack and lunch organised each day for school. If you have any questions and queries, please do not hesitate to ask. Miss Denton and the Primary 6 team. The senior school prepares our students for the IGCSE examinations with the University of Cambridge Board. The syllabus allows flexibility and can be used in conjunction with other curricula to allow teachers the opportunity to meet our young student's interests. It aims to develop learners’ skills and confidence in all areas of the curriculum It offers a curriculum framework for educational success for learners with an optional testing structure. The curriculum frameworks for English also include English as a second language option. We expect the highest standards of spoken and written English. GIC has teachers who are qualified to teach English as a foreign language and we will identify and assist all students who experience learning challenges in this area. Assessment is key to ensuring students are meeting the educational standards and as such our staff will provide feedback to parents on a regular basis. The Cambridge board offers progression tests which provide detailed feedback on your children’s strengths and weaknesses in the core skills of English, Mathematics and Science at the end of each stage. We at GIC use this feedback to focus on the teaching needs of individuals, support learning, as well as keeping you, the parents well informed of your children’s progress. Our aim is to provide as many opportunities for the students to follow courses which interest them while ensuring the main core subjects are undertaken to the highest standard. We encourage the students to choose a second language during their time with us. French, Sinhala, Tamil and Italian are currently available. The teaching staff at GIC are fully qualified in their own fields and are able to offer many extra curricular activities to enhance our students time with us. I hope you are well and that your children have enjoyed the first weeks of the new school year. The atmosphere around the school at the start of term has been positive and the students have shown themselves keen to engage with their learning from the outset. I would like to take this opportunity both to introduce myself and update you on the development of the senior school and the changes being brought in this year to support students in their learning journey and personal development. My wife, Luisa, and I have joined the school this term, myself as Head of Senior School and my wife as a Science teacher. Our two children are with us, a daughter in year 2 and a son in nursery. My first teaching specialism was in Mathematics, while my wife originally comes from a clinical background with experience in teaching medical students. Having worked in the UK for some years, we decided to give ourselves and, more importantly, our children a change of scenery and perspective. We spent 3 years in Malaysia, where I was Academic Co-ordinator for an international school following a modified British syllabus and offering Cambridge examinations. Meanwhile, Luisa was working with the University of Nottingham Malaysia Campus as a Teacher Practitioner in the School of Pharmacy. During this time, we visited Sri Lanka on holiday, fell in love with the area and decided this would be an ideal next destination once the time came to leave Malaysia. After some research, it was clear that GIC would be the best fit for us, both professionally and as a family. Happily, the ideal opportunity arose this year and we are both thrilled to be joining the team. With the addition of new staff and the dawn of a new school year come some changes in organisation and curriculum. Please read the following carefully and feel free to contact me if you have any questions. A few changes have been made to the curriculum for Years 7 and 8 this term. Most notably, Geography and History as individual subjects have been replaced by a combined Humanities course. The idea behind this is to emphasise the links between the two disciplines e.g. the importance of considering past events when analysing modern trends, whilst still ensuring that the development of key skills from both subject areas is fully supported. The weekly swimming session has also been reintroduced for both year-groups. We believe that swimming, aquatic safety and confidence around water are key life skills, and are currently looking at ways in which this programme can be further developed in future. The reading and study skills lessons are continuing for both year-groups, although the structure has changed slightly. The students will spend part of each session reading and the remainder on study, rather than having one whole lesson on each aspect. To facilitate the smooth running of these sessions, each student is expected to bring a reading book into school. These will then be kept in the classroom for use during the reading portion of the sessions, rather than being kept by the students. An extra hour each in English and Mathematics have been added into the timetable for years 10 and 11. This was done to further support students in developing the key skills which they require for a wide range of subjects. As a result of this addition and in order to preserve contact time in other subjects, the students in these years will now stay until 3pm on Thursdays and Fridays, rather than the previous 2pm finish. These year-groups will be having PE on Thursdays at 8am, so should come to school in appropriate sports attire (t-shirts with sleeves, sensible sports shorts and trainers). The GIC A-level programme has been launched this year. The Year 12 students attend four days per week, Monday to Thursday, from 1pm until 5pm. Within the current cohort there are students in the following subjects; English Language, Sociology, Psychology, Business Studies. Our current team of highly qualified teachers are also able to offer a wide range of other subjects. We recommend the parents of our current year 11 students to liaise with us about potential subject choices soon, to facilitate the further development of this programme for the next academic year. All of our senior students are capable of demonstrating exemplary character relating to the three school rules; be safe, be respectful, be responsible. For those who do so regularly, we feel that special recognition is due in a form that the students can keep, display, and even use as evidence of their character and contribution when they eventually move on from GIC. For this reason, we have decided to introduce a new system of Merits and Awards for senior students. Exceptional conduct in any of the three areas will result in the student receiving a Merit. These are recorded and tracked over the course of the year and will culminate in the awarding of Bronze, Silver, and Gold Award certificates to those students who collect sufficient Merits to qualify for each level. All students attaining the Gold Award in a given year will also be invited to attend a reward activity/trip in Term 3. To ensure that the highest level of award is attainable but sufficiently challenging as to be meaningful, the threshold numbers of merits have not been fixed ahead of time. The number of merits being awarded is being tracked during the first few weeks of the school year and suitable boundaries will be assigned accordingly. Merits will also contribute to the GIC house point system, alongside those points awarded to primary students. Alongside the new rewards system, there are some changes to the expectations for senior students and the way in which these will be managed. Primarily, and in tandem with the rewards, our expectations will continue to be based on the three rules. The relevant policy document is attached with this letter. There is also an updated device policy for senior students (attached). The aim is to encourage students to bring their laptop/tablet into school, to facilitate research and online learning, whilst reserving mobile phone usage for their leisure time outside of school. During the students’ free time at snack and lunch, there are now rooms set aside for different uses. We have allocated a quiet study/reading room and a social room for chatting and playing games (of the non-digital variety). We hope this will provide students to who choose to hang out with their friends, and those who would prefer some peace and quiet, an appropriate environment in which to spend their leisure time. Finally, I must thank those of you whom I have already met for the warmth with which you have welcomed my family and I to GIC. We are so pleased to be here and with the opportunity to contribute to the development of a school with such a close-knit and supportive community. I look forward to meeting the rest of you in due course and am confident that we can work together in ensuring the best possible educational experience and outcomes for your children. I hope all is well and that your children are continuing to enjoy the new school year. After listening to feedback from parents, students, and teachers concerning the schedule for the senior school, we have decided to make some changes to the school day for these students. These changes will take effect from this coming Tuesday (25th September). From this date onwards, all lessons in the senior school will finish at 2:15pm, for both KS3 and KS4. This will allow senior students to join clubs if they so wish, or to accompany their younger siblings home. The activity programme is being expanded to reflect this. As per the updated timetable for your child (attached), Each day will contain six learning periods of 50minutes each, with a 20minute snack break after period 2 and a 40minute lunch after period 4. Morning registration will be taken during period 1. The subject allocations for Years 10 and 11 have not changed, whereas 7 and 8 have gained some extra learning periods. These will be used to broaden the curriculum, expanding the PE and Global Perspectives programmes and adding two periods of Performing Arts (Drama, Dance and Music) to the weekly schedule. Developing these skills supports students in building self-confidence, creativity, teamwork and emotional awareness, and are pleased to be enriching our curriculum accordingly. If you have any questions about this or any other aspect of the senior programme, please do not hesitate to contact me, either using the email address below or by telephone via the front desk. Thank you to those parents who gave additional feedback during the parental meeting earlier this week, your input is greatly appreciated. As you are aware, there was a series of criminal, callous bombing attacks in Sri Lanka on Easter Sunday. The loss of life has been appalling and indiscriminate, and our thoughts are with the victims and their families. A 6pm - 6am curfew is currently in place, some social media is temporarily restricted and the Police are conducting their investigations. Various government functions are being disrupted. 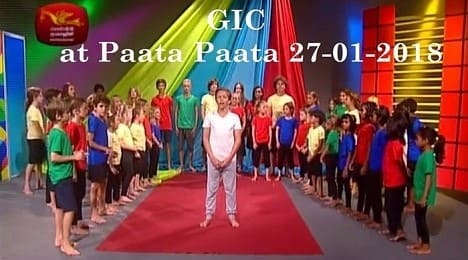 Given that GIC is on hoidays for the next week, there won’t be a direct impact on schedules, but this is obviously a tense time for the entire country. We would urge you to exercise caution and common sense in the coming days, and pay attention to the advice published by the Sri Lankan Government and/or your respective Embassies. The events today were an attack against humanity: Whilst the Police do their job, we can all play our part by being calm and looking after our families, each other, and our community. Welcome back and we hope you have all had a wonderful break. As we commence the new academic term I would like to inform you about some of the changes and events for this term. We have had many new families join us this term and we extend a special welcome to you and hope that you enjoy being a part of our wonderful community. Over the break our builder’s converted the upstairs storeroom into a lovely new classroom for Miss Mary and her Primary 6 class. We have been lucky enough to bring Miss Annie Aitken on board to take our Primary 5 class. Miss Aitken is an Australian trained teacher bringing with her seven years of classroom experience. We are very lucky to have her join our team and are already so impressed by the energy and professionalism she has brought to her classroom. Please keep an eye out for her as you move around the school and take a moment to welcome her into our community. Yesterday, students were sent home with an overview of the key dates for this term. Please check this carefully to ensure that you are informed regarding the main events that take place this term. Starting next week our teachers will be completing observations, assessment tasks and exams that will allow us to write our first academic report for the year. As always, we ask that you maintain a calm approach to these tasks. It is not our intention to place any undue stress on the children and we have many strategies in place to ensure that students are able to demonstrate their learning without placing unnecessary pressure on them. Our younger students will be gently guided through tasks that allow us to check their development in English and Mathematics. Older students, including seniors, will participate in some mock examinations that provide them with some needed experience in sitting external examinations. Upon completion of these tasks teachers will complete an academic report which will be distributed to you in week 5 of this term. Teachers will then invite you to a parent meeting to discuss the content of the report and feedback more specifically on the development of your child. Following the success of ‘Joseph and the Technicolour Dreamcoat’ last year we are so excited to start rehearsals for this year’s production of ‘Oliver’. Our primary and senior students have been invited to sign up for auditions that will take place at school this week. Rehearsals for ‘Oliver’ will take place during club times and will be run by Mr James, Miss Mary, Miss East and Mr Curtis. Whilst not all students will be required for every rehearsal, by having two staff members present each day we will be able to split groups and make sure all students are supervised. 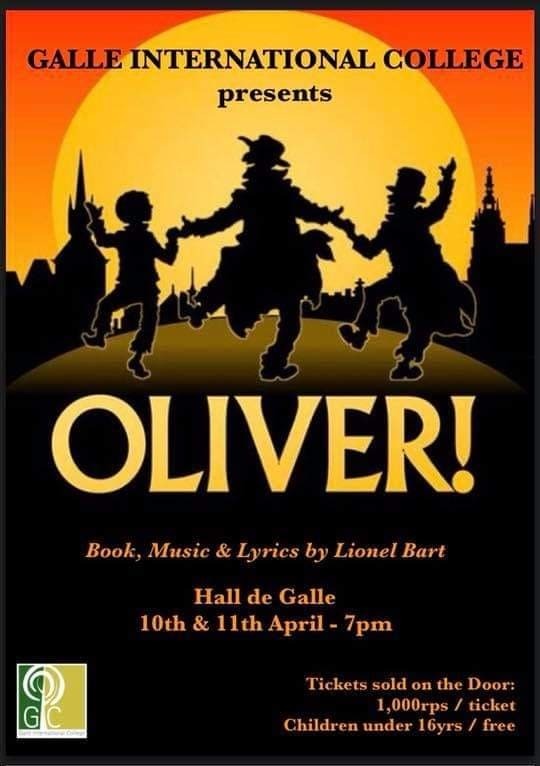 Further, students participating in ‘Oliver’ are encouraged to sign up for other clubs which they will be able to attend on days that they are not needed for rehearsal. With this arrangement we do expect that all students involved in ‘Oliver’ should plan to be at school every Monday, Tuesday and Wednesday until 3:15pm. Whilst the specific performance dates and times are yet to be confirmed we request that you are available in the last week of term (8th - 12th April). We will communicate the exact dates when that information comes to hand. 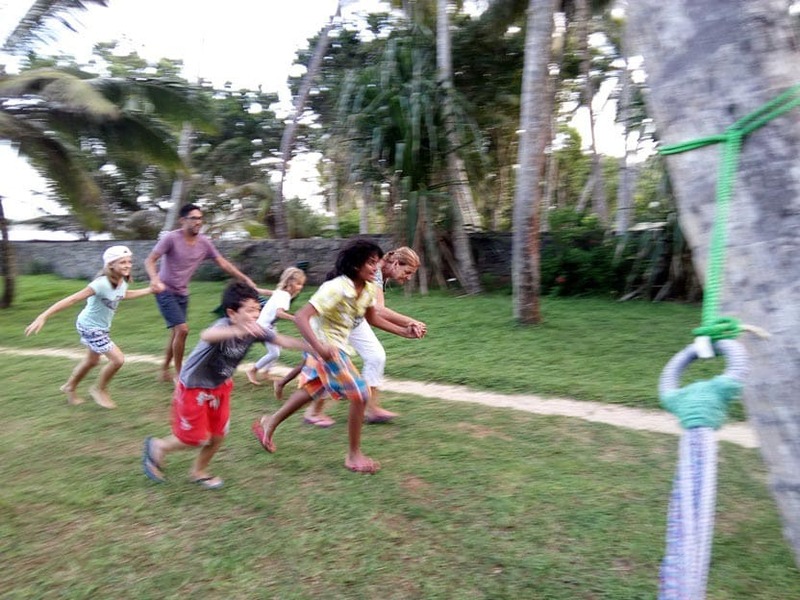 This term also includes our all-important Sinhala New Year celebration. This is a very special occasion at our school and I ask that you make arrangements to attend. The event will be held on Friday 12th April at 9am. Upon completion of the ceremony at approximately 11am students will be dismissed. Cambridge and British Council have published the dates for our Primary 6 Checkpoint examinations. These examinations are externally set and marked by Cambridge and provide students with a graduating certificate to move into Grade 7. This year the exams will take place between Monday 8th - Wednesday 10th of April. A thorough timetable for these exams will be presented to Primary 6 families closer to the date. Please keep an eye out for a letter home next week with more details including the fees associated with these exams. By now you should have received your invoices for the term. Thank you for those who have paid promptly to the office. We kindly request that invoices be settled by Friday 18th January. Payment can be made to our front office. As both myself and Mr Curtis have teaching loads this term, I ask that you contact the office to make an appointment if you wish to discuss something. This will allow us to choose a suitable time without disrupting our teaching responsibilities. As you can see, we have quite a busy term ahead of us. We ask that you keep a close eye on your child’s bag and homework folder to collect any notes being sent home. If you have not yet done so, we suggest that you follow our Facebook page as we endeavour to post updates regularly on that platform. The school website is also available to check the school calendar, class topic plans and other useful information. Welcome back to the new term and an exciting year ahead. I trust you all had a great holiday and the children are refreshed and ready for new learning. Kindergarten. 3 classes renovated with suspended ceilings. Repairs to damaged walls. Outside corridor polished concrete. Substantial investment in learning aids. Primary. Overhead projectors and speakers installed in all classrooms. New frames for noticeboards. Complete renovation of all classrooms. Senior. New study room for senior students. General renovation. New study room for senior students. General renovation. Brand new storeroom and toilet area for primary and kindergarten. Safety carpet in the play early. New kitchen and outside eating area under construction. We have some new members to our team this year and I trust you will welcome them with your usual energy. Sadly, over the holiday, Ridmi’s health has deteriorated and she will not be joining us this year. She needs to take rest to recuperate and I know you all join with me to wish her well. Miss Fahama will take the lead role in the office along side Miss Risana and Miss Amanda. Please be gentle and speak slowly to our team. They are very willing to assist you and will always do their best. Their English is good but you need to speak slowly please. I will be co-teaching P2 with Mr James Luck so will not always be available during the day. We will be asking for a PTA liaison parent from each class so if you are interested, please let us know as soon as possible if you would like to make a positive contribution to school life. As soon as the PTA committee is formed, it will be meeting once a month on a set date to discuss any issues or concerns that parents may have. Details of the new school management and governing body will be advised shortly. They will be responsible for finances, fees, infrastructure and development. Please check your visa renewal dates. The office will deal with renewals but only if given on a Tuesday. The new regulations in immigration mean we have to prepare more documents than before and this takes time to prepare. The office cannot stop other duties to deal with this. Please make sure you give all the information on a Tuesday morning. Your paperwork will be ready the following Tuesday. Don’t leave it too late! Any visa applications handed in after this will not be dealt with until the following week. Fees are due now! We will be operating a strict payment process this academic year. If fees are not paid but the end of the second week of term, your child will be sent home. Please be aware of this and act accordingly. Last year the office spent so much wasted time casing fees, writing and printing reminders and discussing with you to make the payments. This is unacceptable and a waste of valuable time and resources. These must also be paid at the time of booking. Late payments will not be accepted and your child will not have access to the van or the clubs. School begins at 8am. Please ensure you are on time. Late comers will miss the beginning of the lesson and it is disruptive to the class to have students arriving during the lesson. Registers are taken at 8am and sent to the office. If you are late, you must register in the office as you arrive at school. Uniform is available in the school office and we do expect students to wear their uniform daily. Please respect this and ensure your child is suitably dressed each day for school. A school uniform teaches students to dress smartly and take pride in their appearance. Perhaps most importantly, a uniform means students don't have to worry about peer pressure when it comes to their clothes. When everyone is dressed the same, worrying about what you look like isn't so important. Uniforms also give students a sense of belonging to a particular school and create an identity for the school in the community. Afternoon’s on which these will take place and the activities each week will be published during the week. Clubs will commence week starting 11th September. We are determined to improve our communication with parents this Academic Year 2018/19…However, communication is a two-way process! Any school notices will be sent home in your children’s folder., PLEASE DO CHECK THESE AND READ! In addition, all school notices will be published on a new board outside the front doors for all parents to read. In the first half of this term, we will be updating the look and content of our website, where we will also be able to publish the latest and most up to date news. All our wonderful staff here at GIC are, and always will be, committed to working with you as parents to develop your child’s all round education founded on our principles of a strong academic base, kindness, trust, creativity and integrity. I will repeat that at GIC we have a zero tolerance policy regarding bullying of any description and that any incident will be referred to the school governing body to action. Please do help us to help your children……This does mean ensuring that homework is completed during the week and that please your children get enough sleep on a weeknight to help them concentrate the following school day!! 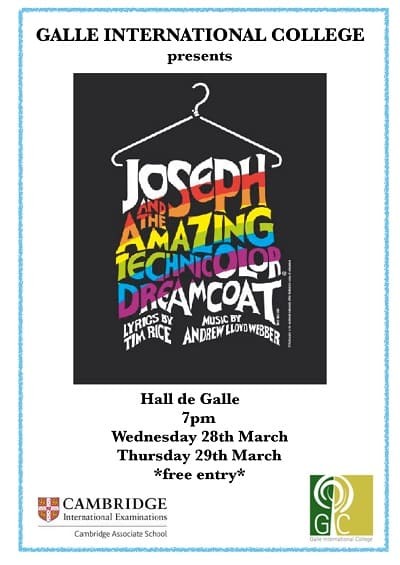 Please join us for on 28th and 29th March for Galle International College's first musical production: “Joseph and his Amazing Technicolour Dreamcoat”, performed on stage in the 600-seat Hall de Galle. This is one of the most enduring shows of all time with music by Andrew Lloyd Webber and lyrics by Tim Rice and is a re-imagining of the biblical story of Joseph, his father Jacob and his 11 brothers. The free-entry show is the culmination of over 3-months' hard work by students from 5 to 17 years old and will be backed by a fantastic 6-piece band under the musical direction of Soundarie David Rodrigo. Arrive early for a drink at the bar. There will also be an interval of 20 minutes during the performance. On Friday we will be holding a half hour ceremony to celebrate Independence Day at 8:30am. Some students are speaking, we have a couple of dances and some Sinhala songs. Mr Wijepala Hettiarachchi, MP has agreed to come as Guest of Honour which is very exciting for our school. Please note that Monday 5th February will be a holiday in honour of Independence Day. This was noted on our updated school calendar as a pending holiday which has now been confirmed by the government. Our Spanish Club will recommence next Thursday 8th February. Please talk to our office to enrol your child and organise payment. Session prices will remain the same as last term at 750rps for the one hour group class. I do hope you all managed to see the TV show on Saturday. If not you can catch up and view the full programme via our website, www.galleinternationacollege.com. Laurent has posted the link in the news section. It was a great day and the students were so well behaved. There was a lot of waiting around and everyone supported each other brilliantly. Thank you to those parents who took children in their cars, your help as greatly appreciated. We hope you have all had a wonderful New Year and are excited to welcome you back. To our new students and families we extend a special welcome and hope you enjoy your time here with us at Galle International College. The term has started with a bang and many of you have already received information and updates regarding the events of this term. Below is a summary of the important and exciting opportunities we have coming up. Our first series of exams, reports and parent meetings will be taking place this academic term. This is an important part of our school cycle and provides us with an opportunity to formally discuss your child’s development. Please refer to the GIC Term 2 Planner and Key Dates documents for specific information regarding the timing of these events. As you are now aware, our Primary and Senior students have been given the opportunity to participate in our first school musical production. There is already a buzz around the school with our rehearsals about to start. Please note that participation is optional and students who register will be expected to commit fully to rehearsals and performances. We have been invited to send a group of students to Rupavahini Television Studios to record a live performance on Saturday 20th January. We will be showcasing some of the incredible dance, music and drama performances that we saw throughout last term and are looking forward to some impressive work by our talented students. Specific details of this event will be communicated to you as they become available to us, however we anticipate all students from Primary 3/4/5/6 to be invited as well as select students from our lower primary and senior classes. Please find attached this term’s club enrollment sheets. Due to the rehearsals for Joseph, which will take place during club times, some of our regular clubs have been stopped for this term. 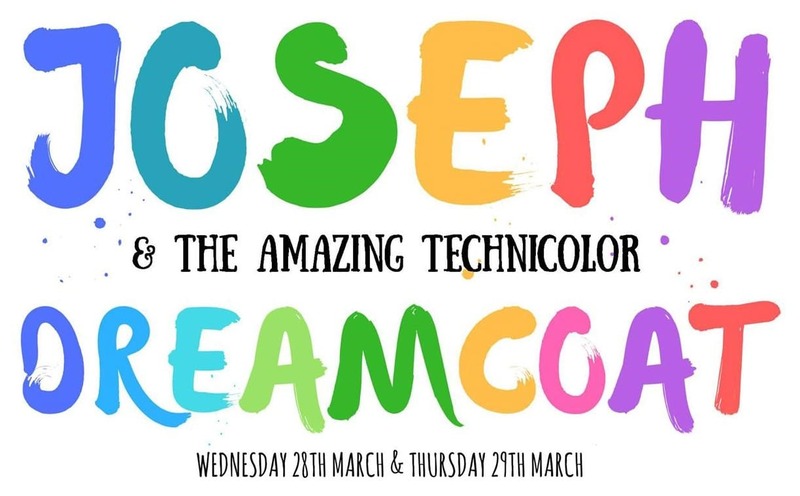 If your child chooses to be involved in Joseph please note that they are certainly be able to sign up for other clubs as they will not be needed for every rehearsal. For those enthusiastic ukulele players, don’t fret, our ukulele club will return next term. Please ensure that you enrol your child through the front office for the clubs of their choosing as our numbers are limited and students will be admitted on a first come first serve basis. Our specialists sports coaches will continue to join us for the Friday PE sessions. For all Primary and Senior students please ensure that your child comes to school on Friday with appropriate clothing and footwear. Students will not be able to participate in their school uniform. We look forward to another successful term and thank you for your continued support and involvement. I would like to welcome you all back to the new academic year. For our new parents, we hope you will have the opportunity to experience the warmth of the GIC community and quickly make some social connections. I trust you all enjoyed the holidays and the children are now ready for a very busy term. The school is growing and this year we have introduced three new classrooms. Primary 2 is now a single year group, Kindergarten have a new KG 1 class and Senior have a new classroom for IGCSE 2, plus we also have our first A level students. With these new classes, we have had to implement some changes, particularly for the Kindergarten. School begins at 8.00am promptly. Please ensure the children are in school by 7.50am to avoid disturbing the class. If you are late for any reason, please ensure you have handed over your child to the office so they can register them in. Kindergarten finishes at 12.30, Primary and years 7,8,9 at 2pm and IGCSE at 3pm (only Monday – Wednesday). Please ensure all items of clothing and bottles are clearly labelled with your child’s name. Access for both KG1 and KG2 will be via the corridor and not through the nursery. Please take your child directly to your classroom. If you are late and classes have started, please hand over in the office. The girls will take the children to class to avoid disturbing the other classes. Access to all classrooms in the main building apart from nursery is via the corridor. There is no access via the hall. I would like you to extend a welcome to our new team members. Please make them welcome and introduce yourselves to them. We are very lucky to have such a skilled team of teachers with us. There will be two Parent forum meetings on Friday 8th September which are open to all parents in the Senior and Primary School. The Primary meeting will be held at 8.15 am and Senior meeting at 2.15pm. This is an opportunity for us to share with you our expectations and progress of both sections of the school and I hope all of you will attend. For those of you with students in both sections, it will mean two meetings. We are now a very big school for such a small car park so it is essential parents take extra care and park sensibly. Please do not park parallel to the school, always at an angle please. That way we can get more cars in. Students are moving to vehicles so please take extra care and pay attention to all sides of your vehicle when entering and exiting. If the car park is full, please use the road rather than blocking the entrance. Following last year’s successful role of chairperson, Ms Binia would like to hand over the reins this year so we will be looking for new chairperson to assist with the co-ordinating the events. 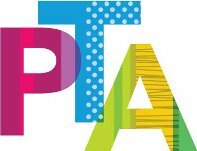 We will be holding a meeting for all parents interested in supporting the PTA on Tuesday 19th September at 8.am. This meeting will also be an opportunity for parents to discuss how the funds raised last year are to be spent. Teachers will undertake spelling and reading assessments this term as a progress guide for the coming academic year. They will also be assessing the children informally this term to monitor progress. Following this, we will be holding progress meetings with parents during the week 6th November 2017. Summative assessments will take place in January with parent meetings and reports in February. Club will commence on September 18th 2017. I will forward a list of what is available next week. Swimming will resume for the Primary and Senior students on Wednesday 13th September. 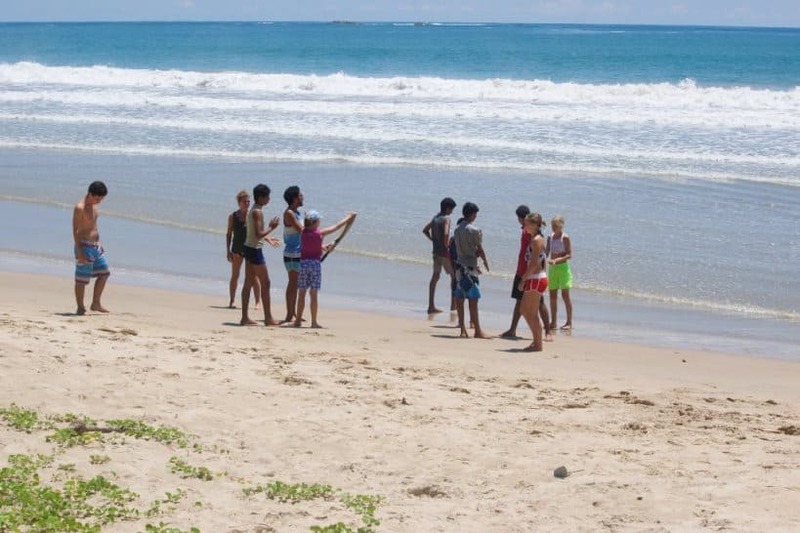 The pool regulations require the students to have the correct swimming shorts, not surfing ones as well as towel. The academic term dates are available online on the website or directly from the office. If you require a copy, please ask in the office. Please try to refrain from taking holidays during the term as the children miss sections of the curriculum. The dangers of Dengue seems ever present so please ensure the children come to school with some protection. The school has been sprayed and we continue to spray each month but this is still no guarantee of a mosquito free zone. Odomos works very well and is available in most supermarkets and pharmacies. Please inform the office in writing with any changes to telephone numbers or addresses. We need to be able to contact you in an emergency. The school is also obliged to hold copies of passports and visas for all our foreign students. If you have had visa’s renewed, please ensure we have a copy. If you require the documentation for new visa applications, please give the office at least 3 days notice. The process of completing the forms, collating the information required and getting everything signed takes time and care. NO visa applications will be processed immediately. Please check the expiry dates and ensure you have time for the process. As always, if you have any questions please ask. The notice board in the main entrance will always have the week plan so do read when you deliver the children in the mornings. As always, I am available for any discussion or clarification. We have been to talking to Borderlands about the possibility of arranging a two night adventure camp for the Primary and Senior children. As a result of the conversation, Mr Wade Campbell and his associate will be in school to give a presentation on Monday 15th May at 2pm. I would be very grateful if you would make the time to attend this presentation so that we can ascertain who might be interested in taking part in this adventure. If you wish to look at what the offer, please follow the link http://www.discoverborderlands.com and look in the schools section. The school adventure packs are different from the family packages and provide a much higher level of supervision and challenge. I look forward to seeing you all on Monday. Happy New Year to you all and welcome back to the new academic term. I trust you all had a relaxing break and enjoyed meeting up with family and friends. It gave me great pleasure to see so much enjoyment at the Sinhala New Year event and even though I as not there in body, my spirit was with you all. My thanks go to the team for their amazing organisation and also you you for your participation. This a is a very important event in the Sinhalese calendar and means a great deal to our local families and staff to see your involvement. I would like to formally welcome all our new parents and students and trust they will all enjoy their time with us. This week is assessment week throughout the school and is it pleasing to see the students concentrating so hard. They are all relaxed and keen to give their best which is a pleasure to see. This week we say a fond farewell to Miss Yvette in the senior department and I know you will join with me to wish her every success in her new venture. Miss Yvette has been with the school for four years and during this time has made a huge contribution to the Senior English department. I would like to thank her for all her hard work, passion and energy in in the classroom and I know she will be sadly missed by us all. Mr Nick Fallows will take over her position. He is already familiar with the school as he has been teaching English classes in the afternoons. He is very experienced having taught in the Emirates for some time. He has recently moved back to Sri Lanka with his family and plans to be here for some time. We will shortly be sending home the class letters outlining the programme of study for the term along with any relevant information relating to each class such as P.E times, homework, swimming and also anything your child may need for the lessons. Please ensure you keep the information to hand for your reference. We have started to build the second new Primary classroom along with a new study room next to Mr Rob. We are aiming to keep any disturbance to a minimum and Basir’s team are working late in the day and long weekends. It should be open for use in around 5 weeks! The roof should be going on this weekend so they will be able to work inside without getting wet! Currently I am talking with Borderlands about the possibility of taking the children on a two - night adventure. Please don’t tell them yet and as I need more information and confirmation of dates, I will keep you updated! Our records in school need to be updated to ensure we have all the right information. Please can you inform us of any changes in address or telephone numbers. For our foreign students, we are required by law to hold a copy of children’s passports and also a copy of the current visa. Can you please ensure the office has this updated information. School begin promptly at 8am each morning. Please ensure your child arrives on time as late comers do disrupt the lesson in progress. If you are late for any reason, please hand over your child in the office and the admin staff will take them to their classrooms. Please note that all students in the Primary and Senior sections will be expected to be in classes until 2pm from Monday to Friday. The IGCSE students have also had their day extended to 3.15pm on Monday, Tuesday, Wednesday to ensure we can meet the curriculum requirements. The academic year term dates are available either in school or on the website. Please be aware that some changes may occur. Please note: Wesak holiday is two days Wednesday 10th May and Thursday 11th May. Friday will be a normal school day. 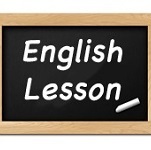 The after school English classes will re-start on Tuesday 2nd May. Swimming will resume on Wednesday 3rd May for the Primary 2/3/4/5 and Senior students. Please ensure the students have the appropriate swim wear and a towel. I will be sending a booking form for football with the students. Please check their bags. Currently Mr Greg is in Hong Kong but we hope to resume club in two weeks’ time. I will post the date on the notice board. Surfing club will be run from The Surf shack in Dewata. There is a cost of Rs1000 per week for this club which includes the tutors. 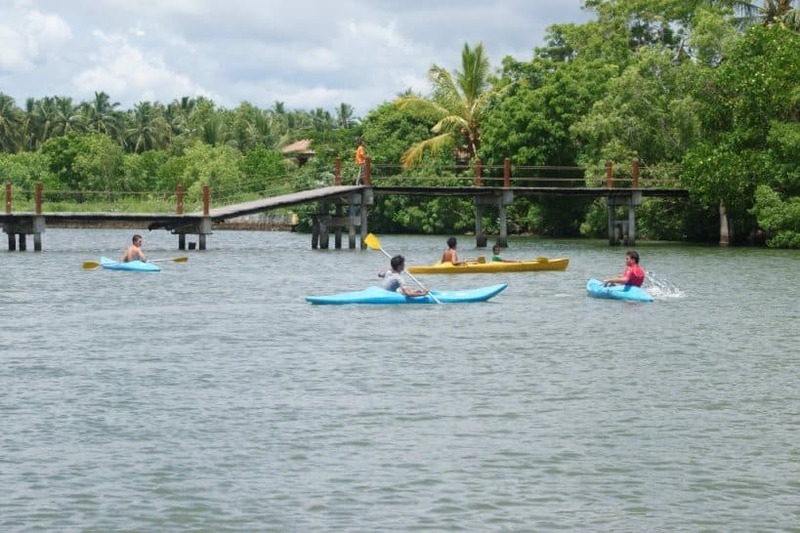 The club will run from 2.30 to 4pm and the students will be working in small groups according to their level of skill with a trained instructor. Students will also need a surf board. If you do not have one one can be hired at the club at a cost of Rs500 for the session. If you wish to register your child for this club, please do so in the office. Surfing can be a high risk sport therefore a registration form must be completed for insurance purposes. You will need to collect your children from school and take them to the venue and also collect at the end of the session as the school van is not available on a Friday. We do have a parking area in front of the school. Please park cars at an angle, pointing towards the school to enable more cars space to drop off children. Tuk Tuk’s and bikes have a separate area marked with a sign. We have an ‘in’ and ‘out’ gate to assist you and again, please use them accordingly. Space is tight so please be vigilant and take extra care when entering and exiting as children are moving to vehicles and sometimes out of sight! I would like to remind parents to protect their children each day with mosquito repellent. The dangers of Dengu seem ever present and while our area is free, it is important to continue to offer protection. The school is sprayed monthly but this is still no guarantee of a mosquito free zone! Odomos seems to be the best we can buy here in Sri Lanka and is available in most pharmacies and supermarkets. Fees are now due for this academic term. If you have already paid, thank you, if not can you kindly arrange to pay the same as soon as possible. Happy New Year and welcome back to the new term. We would also like to welcome our new families to GIC and trust your child will settle in quickly. I do hope you all enjoyed the break and of course had a visit from Father Christmas! Most of you will now have seen the new classroom for Primary 2/3 which we are delighted with. Our team of builders worked extremely hard over the holiday to ensure completion. There are still a few small things to do but the children have moved in and are very happy with the new space. I would like to extend a warm welcome to Ms Angela who will be teaching ICT across the school. Also please welcome Ms Ridmi back to the office from maternity leave. Ms Ridmi will be in school from 7.30 2.00pm each day. We begin swimming again this Wednesday for all students from Primary 2 – Senior 9. Please ensure the students have the appropriate kit. Swimming is an important part of our school curriculum and we ask for your support in ensuring your child is prepared each week. If your child is ill or injured, we require a written note explaining the situation. We expect regular attendance at our swimming classes and this will be monitored by staff. Clubs will begin again on Monday 16th January. The schedule is as follows. Monday Art (Ms Menna and Ms Binia) Please ensure your child has an old shirt for painting please! Ms Menna’s art students will also need to bring a hat this term as they are painting outside. You will receive a topic plan and a letter from your teacher regarding class arrangements and curriculum. They will inform you of the days for PE and also anything your child needs for class. Please look out for this. I am being asked about Friday 13th January as a holiday. As far as I am aware, this is not the case and school will be open as usual. Please ensure students have the appropriate school uniform each day and also a water bottle. I am sure there will be more information for you later in the term, but in the meantime I look forward to a productive term with the students. Welcome back to the new academic year and an exciting series of events and topics for your children to experience. I trust you all had a relaxing break and enjoyed meeting up with family and friends during the summer break. Our school is expanding rapidly and we now have a full Kindergarten and Primary section, despite adding two new classes. I would like to formally welcome all our new parents and students and trust they will all enjoy their time with us. I would also like you to warmly welcome our new members of staff who are joining our ever growing team. We will shortly be sending home the class letters outlining the programme of study for the term along with any relevant information relating to each class such as P.E times, homework, swimming and also anything your child may need for the lessons. We are delighted to announce the completion of our buildings and we now have three classrooms and a dedicated science laboratory for the students. There are now 4 groups of students in the senior department. Grades 6/7, Grade 8, Grade 9 and the IGCSE. Our new staff members, Miss Mena (Art and Design), Miss Prabodie (class teacher for transition, year 6/7), Miss Nina (English) and Miss Laura (Sciences and special support). We have two new class teachers in the Primary division. Mr Robert Challens will teach the Primary 2/3 while Miss Mary Denton will teach Primary 4/5. Both teachers have excellent qualifications and experience as well as creative skills in music, dance and PE. Miss Thakshilla will continue to teach Primary 1. Miss Gail will also be joining us as a specialist teacher for one of our students in Primary 4/5. It is a great pleasure to introduce Alice Chatelais as Head of Kindergarten. 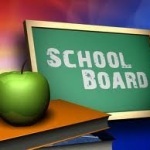 She will be overseeing the teaching and learning across the classes as well as teaching some classes herself. She is highly experienced in the field of Early Years and will support the teacher training programme for our Early Years staff. We have the opportunity to take the older children on camp again during September. 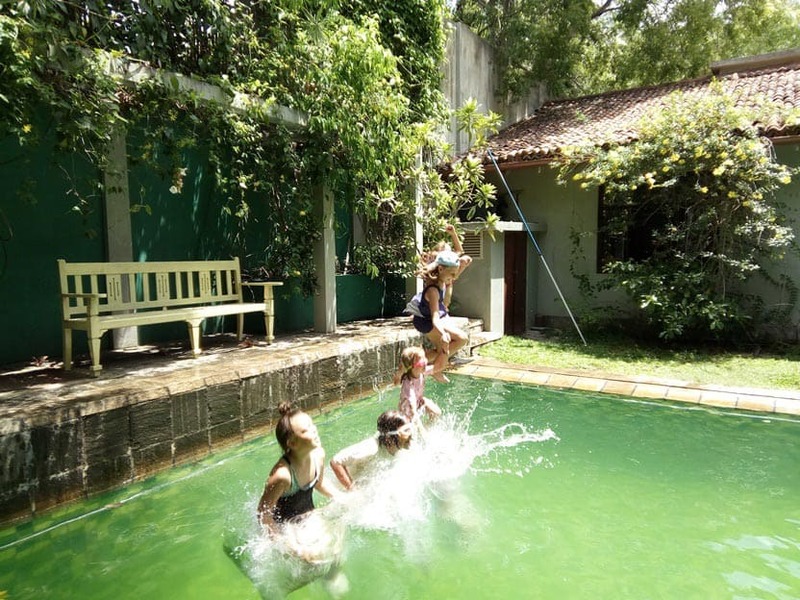 We are planning a two night stay for the Primary classes and a two night stay for the Senior School. 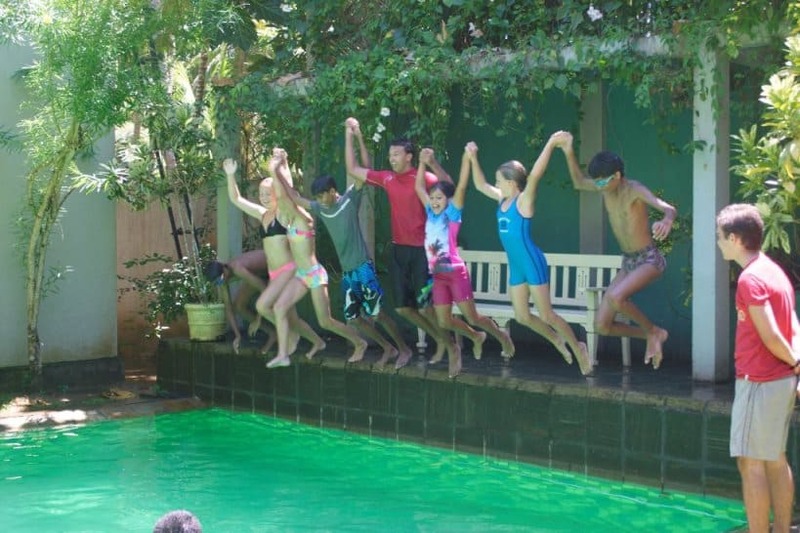 Camp Thalassa always provides our students with a chance to learn more about each other in an exciting and adventurous environment. We will hold an information meeting on Monday 19th September at 8.15am following assembly where you will have the opportunity to ask questions about the camp. Please note that all students in the Primary and Senior sections will be expected to be in classes until 2pm from Monday to Friday. We are no longer finishing at 12.30 on a Friday. The IGCSE students have also had their day extended to 3.15pm on Monday, Tuesday, Wednesday to ensure we can meet the curriculum requirements. Please be aware that some changes may occur. Please note: Next week is a short week with both Monday and Friday being a holiday. The after school English classes will re-start on 12th September 2016. These classes are designed to build English speaking and grammar skills to enable students to take part in the Cambridge tests (YLE, KET, PET) If anyone wishes to enrol in these kindly let the office know of your interest. There is a cost to each English class. Please ask in the office. We will also be offering individual classes for those students in need of extra support. Your class teacher will inform you of any arrangements. Swimming will resume on Wednesday 14th September for the Primary 2/3/4/5 and Senior students. We are currently negotiating use of the pool for another day so that Kindergarten 2 and primary 1 students can resume classes. I will inform you as soon as we have the day and instructors arranged. Students require a towel and swimwear. Clubs for this term are as follows. Thursday – Surfing Mr Rob and the team at the Surf Shack. Surfing club will be run from The Surf shack in Dewata. There is a cost of Rs1000 per week for this club which includes the tutors and the transport to Dewata. The club will run from 2.30 to 4pm and the students will be working in small groups according to their level of skill with a trained instructor. Students will also need a surf board. If you do not have one one can be hired at the club at a cost of Rs500 for the session. If you wish to register your child for this club, please do so in the office. Surfing can be a high risk sport therefore a registration form must be completed for insurance purposes. The children will be transported to the club in the school van but will need to be collected from the Surf Shack at the end of the session. The school van from Ambalgoda / Hikkaduwa is now full. If you are looking for transport from this area, please contact me as we may be able to arrange another vehicle. I am also being asked about the possibility of transport from the Unawatuna / Thalpe area. Please inform me or the office if you are interested and we can see if it is possible to arrange a van. Some of you may be aware of a huge walk from the north to the south of Sri Lanka in aid of a cancer treatment centre in Galle. I have entered the school to take part with the hope that we can raise several hundred US Dollars towards this centre. We will be walking on Monday 31st October with some of the senior students along with Mr Curtis and several other teachers. We will take part in the section from Unawatuna to Welligama and would be so pleased if you could come and support everyone. Our school is registered under my name, Victoria Hislop under the day walkers section. Now is the time to send all the details to your friends and family and encourage them to support this amazing project. This link should take you directly to my profile for the school where you can donate. We are all very excited about this event and would really like to raise some serious money! I would like to remind parents to protect their children each day with mosquito repellent. The dangers of Dengue seem ever present and while our area is free, it is important to continue to offer protection. The school is sprayed monthly but this is still no guarantee of a mosquito free zone! Odomos seems to be the best we can buy here in Sri Lanka and is available in most pharmacies and supermarkets. Welcome back to term 3 of our academic year. Hope all of you had a lovely new year and I wish all of you lots of prosperity and happiness. I would like to formally welcome all our new students and trust they will all enjoy their time with us. We are delighted to announce the completion of our new building that will house two classes as well as a much awaited and well deserved staff room for our teachers. Now we are waiting for the electricity board to connect us to the grid. Once this is completed we can then move the students and begin the preparation of the old building to create a new science laboratory. The one other thing we at GIC are all proud of is that we passed the Cambridge inspection and evaluation that took place this week in flying colours. The students are making wonderful progress in understanding fundamental principles and concepts which then can be applied across all levels. We are excited about the formation of our IGCSE class who will immediately begin their studies for `Cambridge exams next May. The other very heartening development is the inter personal relationships that they seem to be nourishing amongst peers, other students as well as the teachers. We have a new class in the Primary division which will be taught by Miss Carol. We warmly welcome her to the school and I can see already that she has many skills to offer the children. I will continue to teach the middle primary (years 2/3) for Maths and English and the children will join together for Topic, PE, dance and Drama. Contracts have also be signed for two new members of staff for September. Mr Robert Challens will be joining us from the UK. He will be teaching the Middle Primary (2/3) and Miss Alice Chatelais will join us as Head of Kindergarten. Both these teachers have excellent qualifications and I know will be a real asset to our team. It is a great pleasure to welcome back Miss Sabrina this term. She will be joining us again after a short break. Many of you know her already and I know you will be pleased to see her back in the Kindergarten. We have had to postpone our trip to Thalassa due to repairs of the pool that were confirmed just at the end of our term. I am now awaiting confirmation of the completed work and availability of the house so that we can take the children on their adventure! I will confirm the new dates as soon as I have the details. The third term for this academic year started on the 25th of April and will end on the 15th of July. We will then re open for the new academic year 16 -17 on the 5th of September 16. Kindly make note of this date as we would like all our students in full strength when we kick start the new year. I am attaching a copy of the dates for the forthcoming academic year. Please be aware that some changes may occur. The English classes will start next week and go an as usual until the end of this term. If anyone wishes to enrol in these kindly let the office know of your interest. We now have a new parking area in front of the school. Please park at an angle, pointing towards the school to enable more cars space to drop off children. We have an ‘in’ and ‘out’ gate to assist you and again, please use them accordingly. Fees are now due for this academic term. Kindly arrange to pay the same as soon as possible as we have lots of infrastructural expenses that need immediate attention. We have been receiving many enquiries from parents who seem to be keen on admitting their wards in the GIC for the following academic year. If you have friends who might feel the same do request them to pay the admission fee and block the seat for their child as there are chances that we might run out of seats. There are challenges that we face on a day to day basis considering the fact that we are a young and growing school, but the camaraderie of the staff, the tremendous interest pouring in through mails, visits and volunteers from different parts of the world and most importantly – the tangible, all round development of our children – which is the most satisfying aspect of all, keeps me going with gusto. I am looking forward to a very engaging and fruitful term. We are always available for any discussion or clarification. Please contact the office if you wish to book a place for your child for the English classes. Preparations are well underway for the Christmas production and I am sure you are going to enjoy seeing the children perform. The show is on Thursday 10th December at 6.00pm in the Samoda Reception Hall, 357M Baddegama Road, Dangedara, Galle. This is just down the road from the school. If you need directions, please ask in the office. the nursery children will preform ' Shine, star Shine' first, followed by a short interval with a snacks for the children, and then the primary and senior students will present ' Stable Manners'. Father Christmas will hopefully arrive at the end of the show to present the presents. The tailor has now finished the last of the costumes and we are asking for a contribution towards the cost of these. The children can then take them home at the end of the show if they wish. The children will need to be at the venue by 5.30pm so that costumes can be fitted. We are all looking forward to seeing you there and hope you will enjoy the show. Dear Parents, please note that you can register your child for the new term in January 2016 from this week onward. The office is open from 8.00am - 2.00pm from Monday to Thursday and from 8.00am - 1.00pm on a Friday. Several issues have occurred during the past couple of weeks regarding the safety of children in school. Parents arriving late are going to classrooms and leaving doors and gates open as well as taking the teacher's attention away from the class. This is interrupting the daily routine in school and is very disruptive for the other children. From now on we kindly request that all latecomers hand over their child to one of our office staff who will then take your child to the class room. This also applies to any parent wishing to collect their child before the end of class. All visitors must first report to the office before entering the school during school hours ( 8.00am-4.00pm). School starts promptly at 8.00am. Please make sure that your child is in school at least 5 minutes before the bell rings. The kindergarten classes finish at 12.30pm. The children will be brought to the front play area where you can collect your child. We hope you do appreciate our new rules for the safety of your child and to ensure a quiet and calm daily routine in school. Our Halloween celebrations will be held on 22nd October 2015 starting at 1pm to 6pm. We have a "Spooky Disco", Haunted House and several fun Halloween games for the children. Tickets are available for this event priced at Rs. 500. For this your child will have a plate of food, a drink and access to 6 games. If you wish to buy more game tickets they will be available in the office. If parents wish to purchase a food plate for themselves, they will be available at Rs. 150. Please inform the office in advance so we have enough food for you. There will also be a bouncy castle, free of charge, so everyone can have a bounce. Don't forget to come in your costume! Welcome back to the new academic year. I trust you all had a good holiday and the children are feeling refreshed and ready to begin a very busy term. This term we have opened a new kindergarten class due to high demand. This class will be run by Miss Niwanka who has been training with us for the past 8 months. She is a very welcome addition to our team. The Senior School Mr Curtis has now taken the lead as Head of Senior School and has already settled the new students into the new timetable. We warmly welcome the new students too. It is important the students complete homework on time and present their work as neatly as possible. This is essential to enable each and everyone of our Senior students to achieve their goals and work at a pace that suits them. The introduction of new subjects and expectations is challenging, however I have every confidence that our students will be successful. The Primary School I am pleased to welcome Miss Thakshila back to join the team. She will be teaching Reception / Primary 1. She is extremely well organised, as well as being very creative, so I am confident the children will make good progress and have a wonderful time. I will be teaching Primary 3/4/5 this term together with a super team of classroom assistants. Miss Paige is an English teacher, Miss Ruwaida has been assisting in the school for two years and also we have Miss Sewwandi a student teacher who will complete her training with us. The older year 6 students have now moved to the Senior classroom with Mr Curtis. The Kindergarten team has been working very hard over the Summer under the watchful eye of Miss Sabrina. 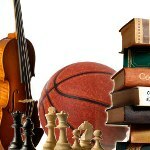 They have prepared a wonderful topic filled with songs, games and activities. Our team is now very settled and I am pleased to inform you that all the teachers have now completed their training courses. Many of you will remember Mithma who has now graduated from our school and has become a helper in the Kindergarten. She is a delightful girl, very kind, very gentle and is already loved by many children. Swimming will begin this week for Seniors and Primary children on a Wednesday morning. Please ensure children have the correct kit. We are currently negotiating a time for Kindergarten 2. I will keep you informed of this. I know many kindergarten parents are asking for swimming again and as soon as we have organised the pool, I will inform you. 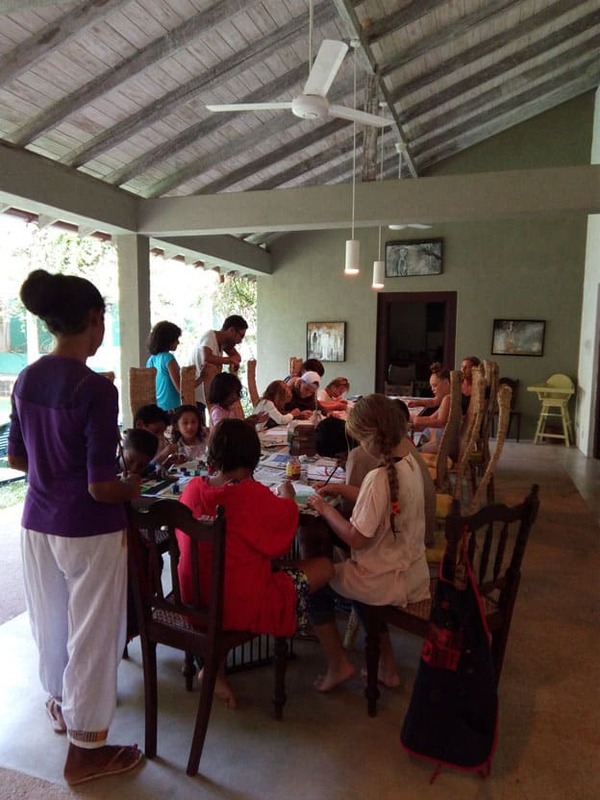 The Extended English School offering classes in the afternoons for children is mostly full. We have few places left for the older children so if you wish to enrol your child or know anyone who would like extra lessons, please speak to Miss Fahama. Halloween will be a fun event this year with fancy dress, haunted castles and crafts items for you to enjoy as well as a movie. Nearer the time we will be looking for helpers and also contributions for a Halloween Picnic. As half term is a little later this year, the event will be held on 22nd October at 6pm. Junk Items: we are in need of your empty boxes, plastic pots, newspapers and cardboard rolls. If you can save these and bring to school it would be much appreciated. The children are making very exciting models with the waste items and our stocks are running low. After School Programme will continue this term, a timetable was sent out on Friday. Please ensure you have booked a place as some classes can only have a set number of children. You will also see we are offering some classes as part of your term fee so no extra charges. If you have any queries or questions you would like to ask, please don't hesitate to come to the office. © 2013-2019 Galle International College, All rights reserved.